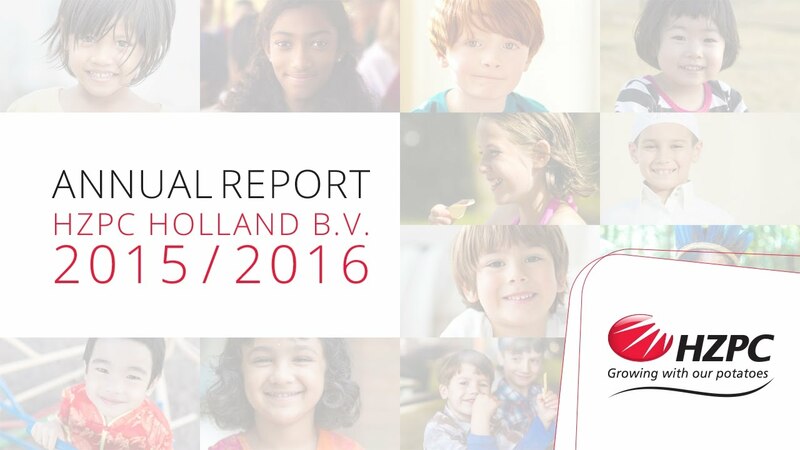 With pleasure we present you the annual report of HZPC Holland B.V. about the financial year 2015/16. As announced in October, the consolidated net turnover of annual year 2015/16 was established at € 289.5 million. The gross margin is € 48.1 million and the net result is € 7.0 million. The dividend on HZPC certificates is set at € 5.75 and this is well above the five years average of € 4.60. In annual year 2015/16 HZPC benefited from the European market recovery, but also from our efforts on the international markets which resulted in increased licence income at other continents. In the current season 2016/17 we see lower yields in The Netherlands, but not throughout Europe. Demand is expected to be similar to season 2015/16. The trade with the Middle East remains to be challenging and uncertain because of political and economical uncertainties. You are cordially invited to read our digital annual report on http://ar.hzpc.com. Also you can watch the video with the highlights of the report below.